Forget renting bowling shoes–you can enjoy the fun of competitive bowling in the comfort of your own home. 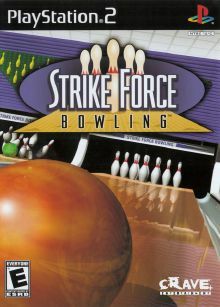 Strike Force Bowling brings the game to you with authentic real- time physics and an arcade-style control. Pins never quite fall the same way twice, and bowling balls react according to a combination of spin, material, and lane friction. From the Sphinx in ancient Egypt to a tropical island pier, you can play in a variety of exotic locations with up to four players.